This is a beautifully designed uniform cuff button. This is the style known to collectors as the cuff size U.S. Marshall button made during the 1840's. 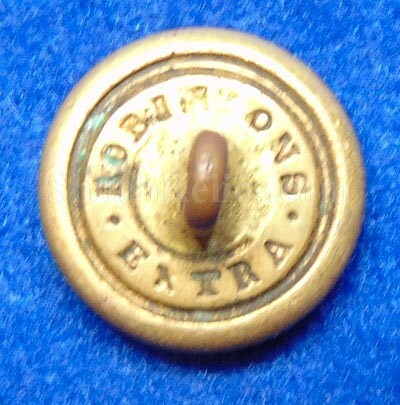 This small size button pattern is listed as FD32av in Albert’s button book and also as FD232As1 in Tice’s button book. This one is in superb condition. It has a gorgeous amount of the original gold gilding on the face of the button. 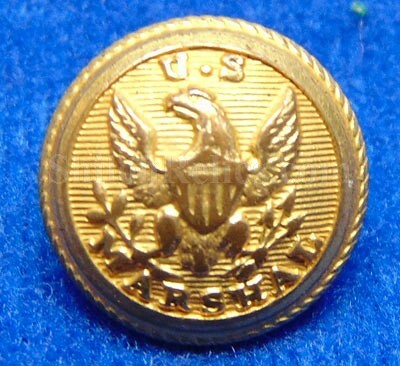 The face of the button has upturned wing Union eagle with "U.S." above and "MARSHAL" below. 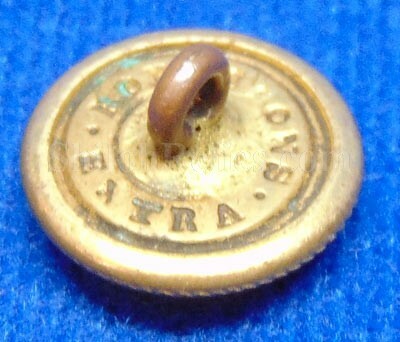 The back of the button has the correct pre-Civil War maker’s mark of the famous firm of R&W Robinson. This is a fantastic button all the way around and will be nice enough for any collection.